The issue of international trade – particularly with the world’s largest nation, China – has been much in the news of late. In Washington, the Trump administration continues to pursue a controversial trade war with China that it claims will bolster the U.S. economy, but which many analysts of varying ideological stripes view as distinctly unhelpful. Even if one sets aside the question of the effectiveness of Trump’s trade battles, however, the notion that the U.S. is even engaged in massive amounts of commerce with the Asian giant is, for the millions of Americans who came of age when China was a cloistered Communist nation that largely banned private property, a rather remarkable fact. What’s even more amazing to contemplate about 21st Century U.S.-China trade relations is that they do not merely involve the stereotypical American import of goods produced in lower-cost Chinese factories. Increasingly, Chinese companies and capitalists are massive investors in the U.S. and its raw materials in ways that impact the daily lives of millions of average Americans and that constitute a kind of eerie role reversal. As you probably know by now, polluting hog farms – particularly those owned and controlled by the giant Chinese conglomerate known as the WH Group through its Smithfield Foods subsidiary – have been much in the news of late. 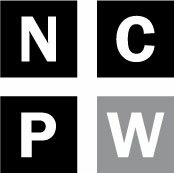 As Policy Watch environmental reporter Lisa Sorg has reported in regular and often nauseating detail, three federal court juries have recently returned massive nuisance verdicts against farms in southeastern North Carolina for the damaging impact they have on nearby neighbors. Last week’s ruling on a case from Pender County was the largest yet, with jurors awarding six plaintiffs a total of $473 million in compensatory and punitive damages. For those who care about North Carolina’s quality of life and the sustainability of its fragile natural environment, the recent verdicts have come as extremely welcome news. 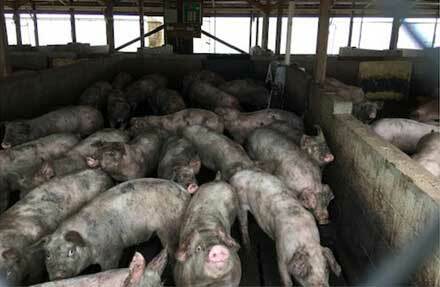 With several more cases queued up for trial, the hope and expectation is that the massive verdicts will finally serve as the spur that is needed to get the industrial hog farming industry in North Carolina to clean up its act. After all, as Sorg reported yesterday, it’s not as if WH Group lacks the resources or capacity to alter the way it does business. According to Securities and Exchange filings and company reports, Wan Long, the CEO of WH Group, earned $291 million himself in salary and stock options last year. What’s more, the company has already shown it has the capacity to clean up the industrial farms it controls. In January of this year, a Successful Farming magazine ran a story entitled “How Smithfield saved the worst hog farm in America,” in which it explained how a massive network of Missouri farms has been transformed through the implementation of modern pollution control technology. The problem, of course, is that the Chinese overlords at WH group clearly do not want to spend the money it would take to clean up the farms it controls in North Carolina. For now, it’s obviously cheaper to keep the pathetically obsolete and often-stomach-turning network of open hog waste “lagoons” while egging on local farmers with threats of “de-populating” their farms, and employing the tried and true tactic of buying P.R. flacks, big law firms, lobbyists, and politicians (like Senator Thom Tills, Lt. Gov. Dan Forest, Agriculture Commissioner Steve Troxler, Congressman David Rouzer and state Rep. Jimmy Dixon) who can fan the flames of rural insularism and racism and attack the media à la Trump. The tragedy in all of this, of course, is that local farmers and the neighbors bringing the hog farm nuisance suits ought to be allies. As many a lawsuit plaintiff and sympathizer has opined, it’s possible to care about the environment, not want to smell hog feces all day, and still enjoy bacon. The point here is not to end hog farming, but to bring about an industry that is a good and environmentally-friendly neighbor. That conservative and frequently jingoistic politicians are attempting to whip up outrage against hog farm neighbors and American trial lawyers and journalists rather than Chinese billionaires who are really pulling the strings in all of this is deeply ironic and truly appalling. So what happens next? For now, the lawsuits will continue and, presumably, so too will the demagoguery from conservative politicians. Let’s hope that, at some point, WH redirects its cash toward clean-up and away from stonewalling propaganda.